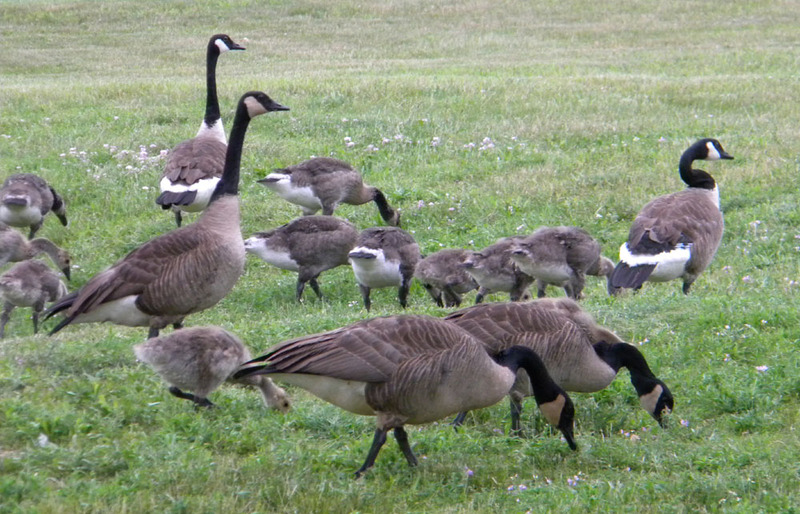 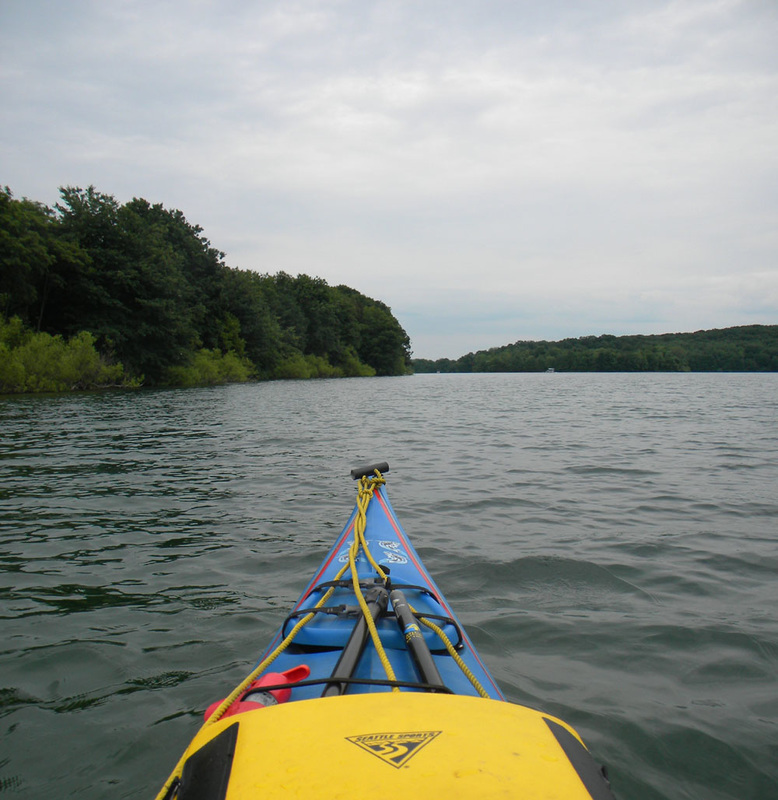 South of York PA lies a manmade lake of uncanny clarity. 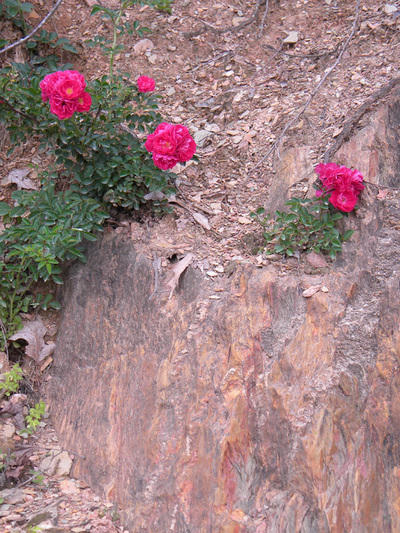 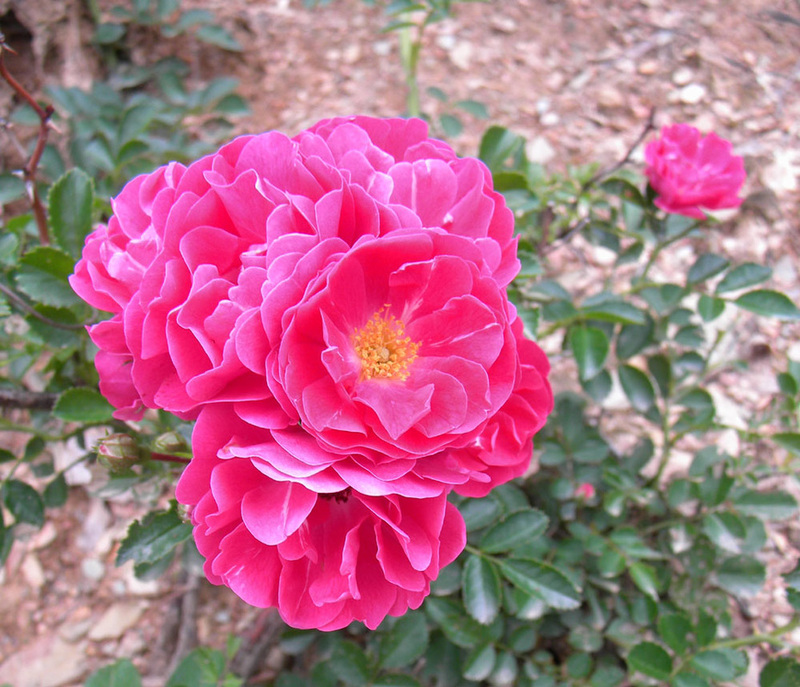 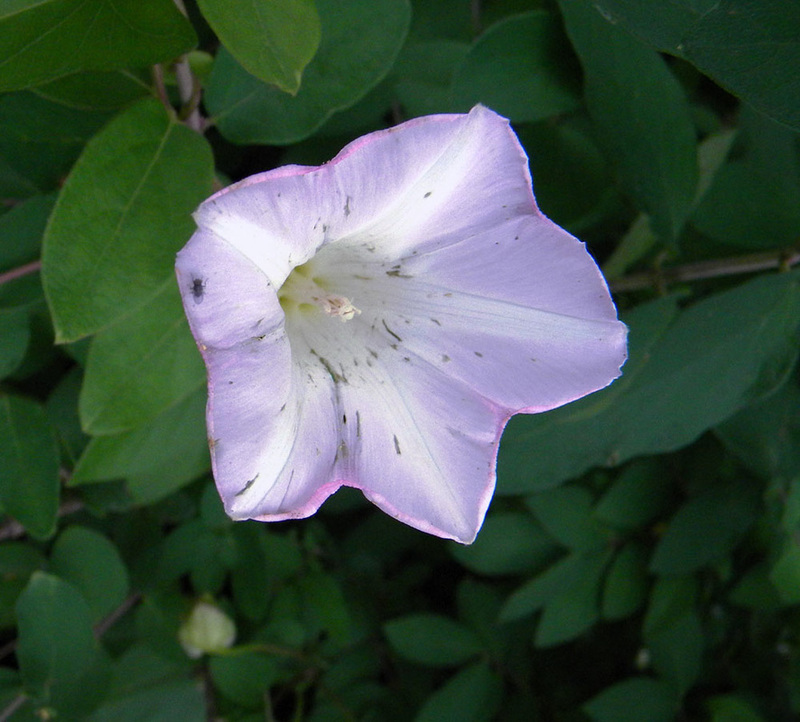 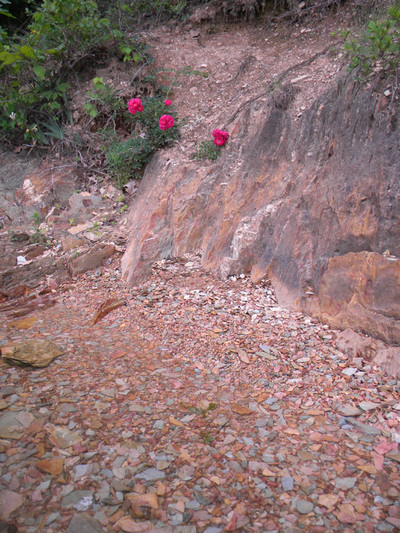 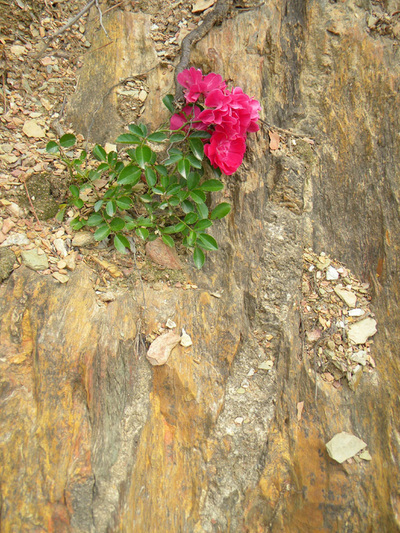 Sailboats ply its waters, fishermen drift by its wooded shores, trail riders's horses trek the shady trails. 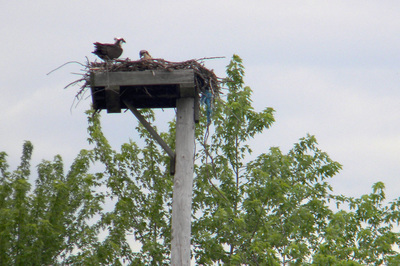 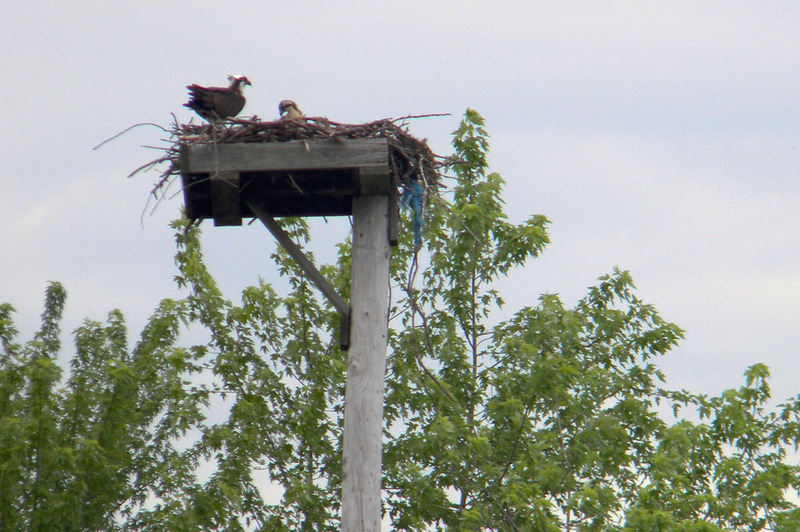 An osprey nest on a tall pole marks an island in the middle of the lake, eagles from a nearby nest (with its own webcam) fish the lake. 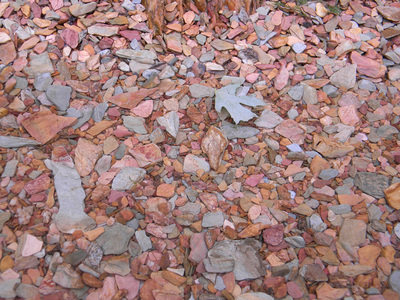 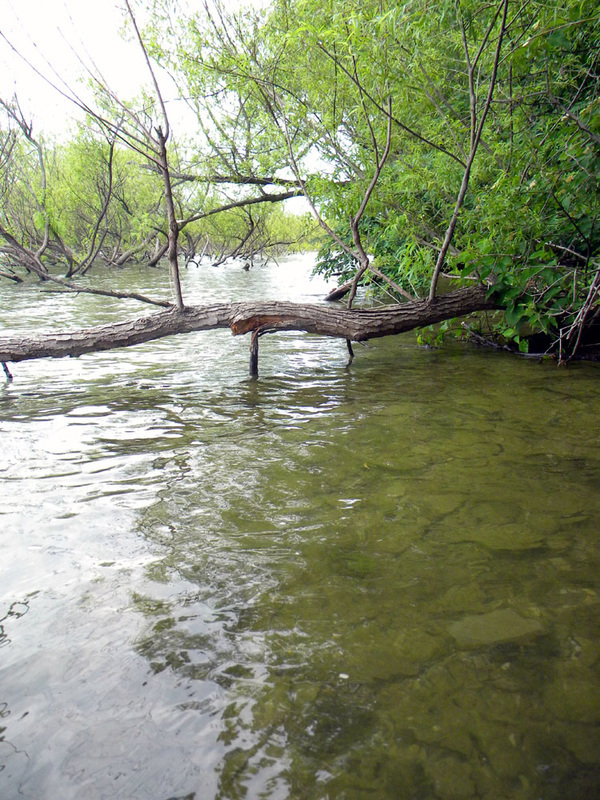 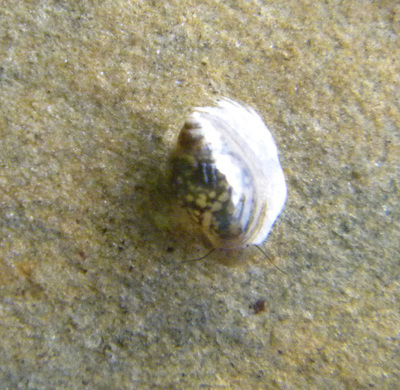 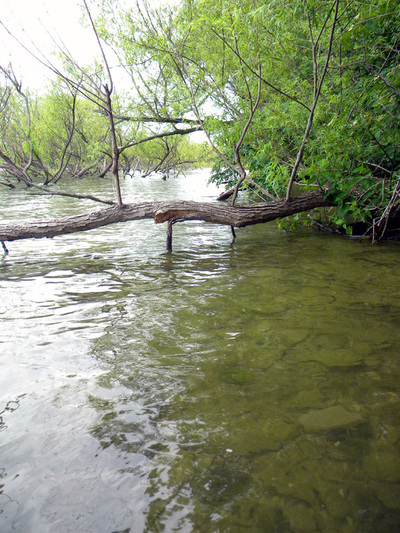 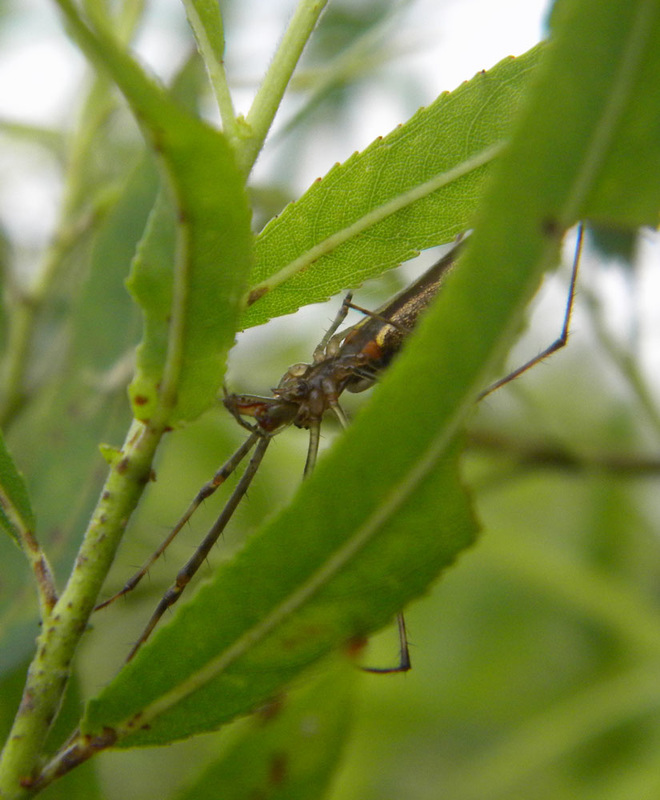 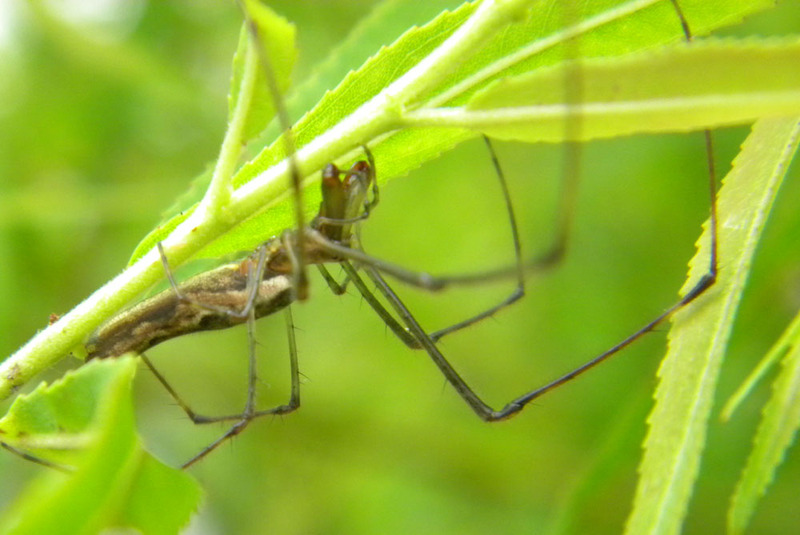 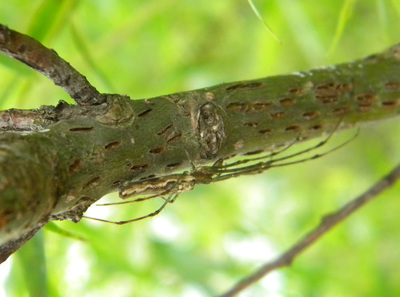 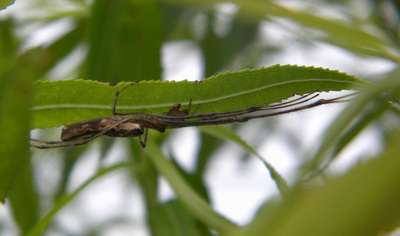 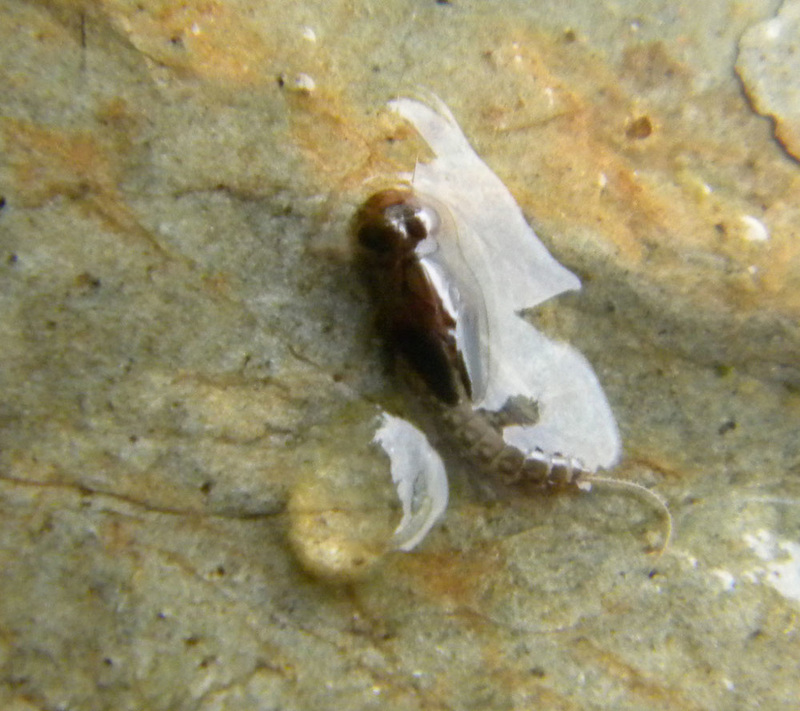 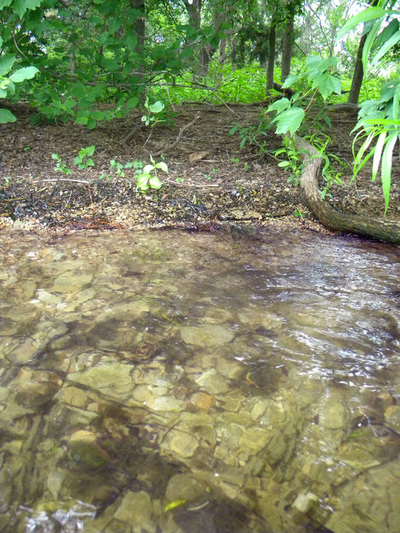 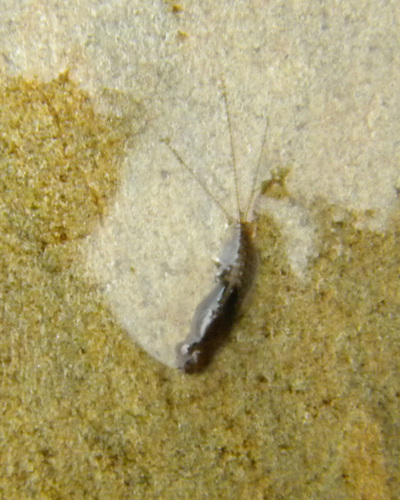 turn over a rock and find a healthy variety of macroinvertebrates, look into the shallows as you drift by and catch a sight of bluegills, bass, or huge carp. 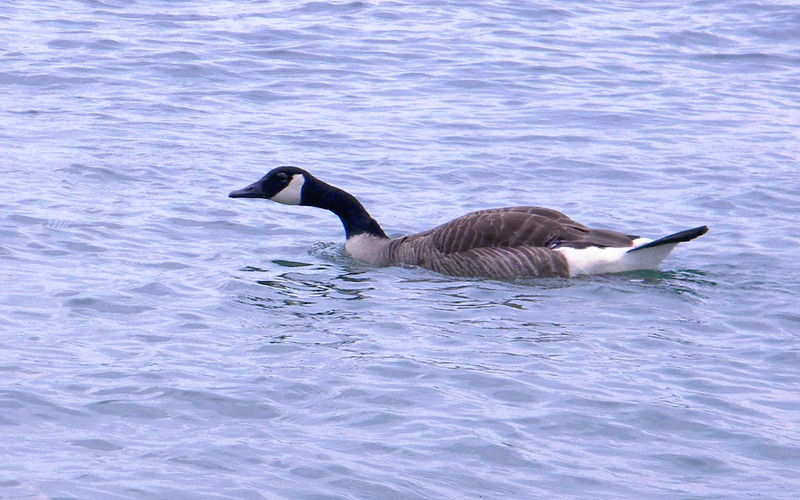 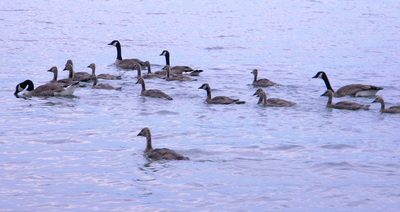 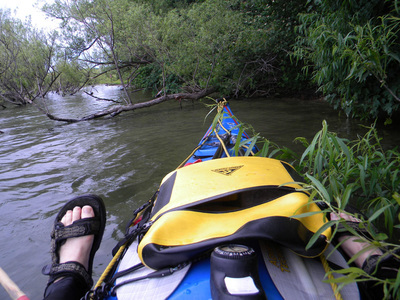 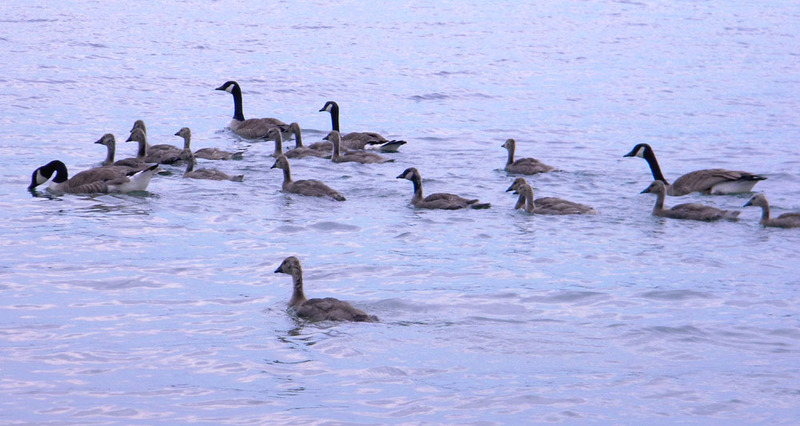 Take a dip (wear your PFD!) 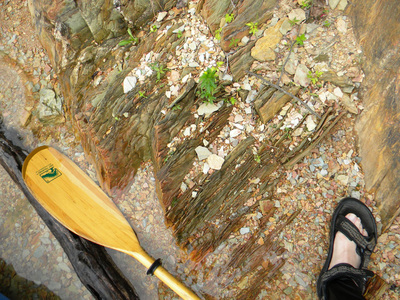 and get your vitamin N (green time). 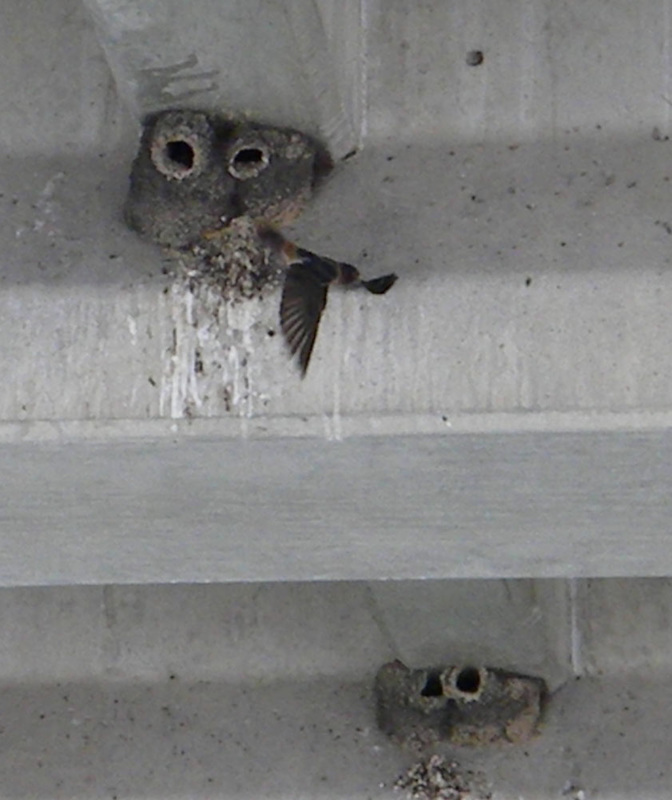 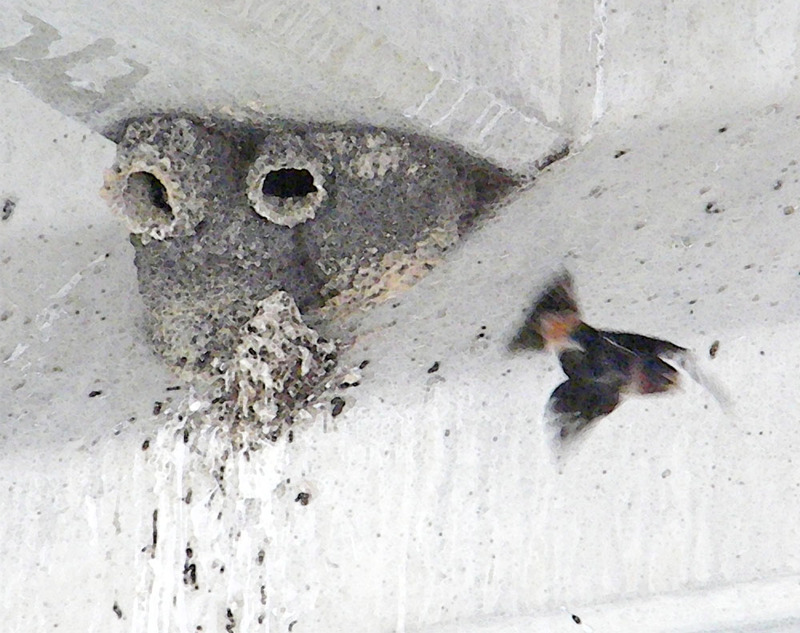 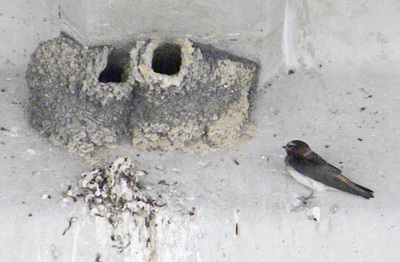 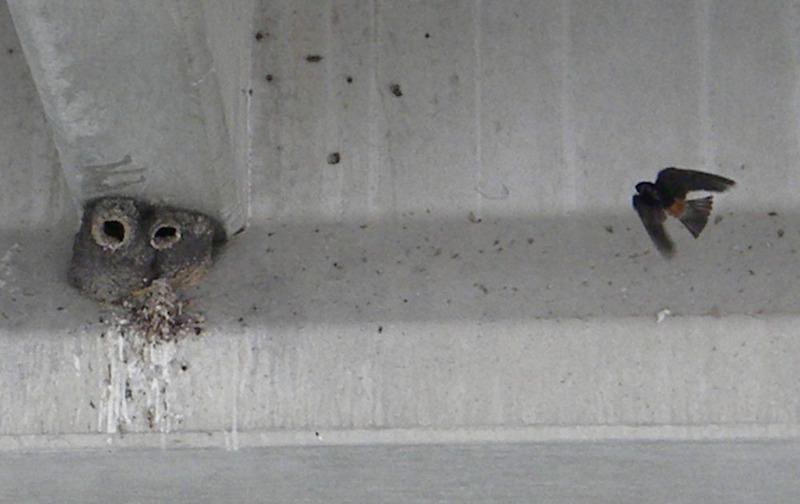 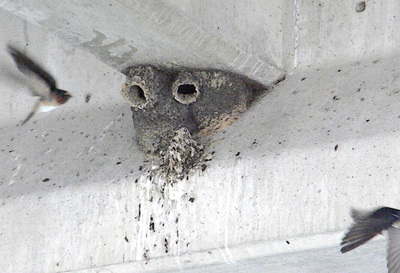 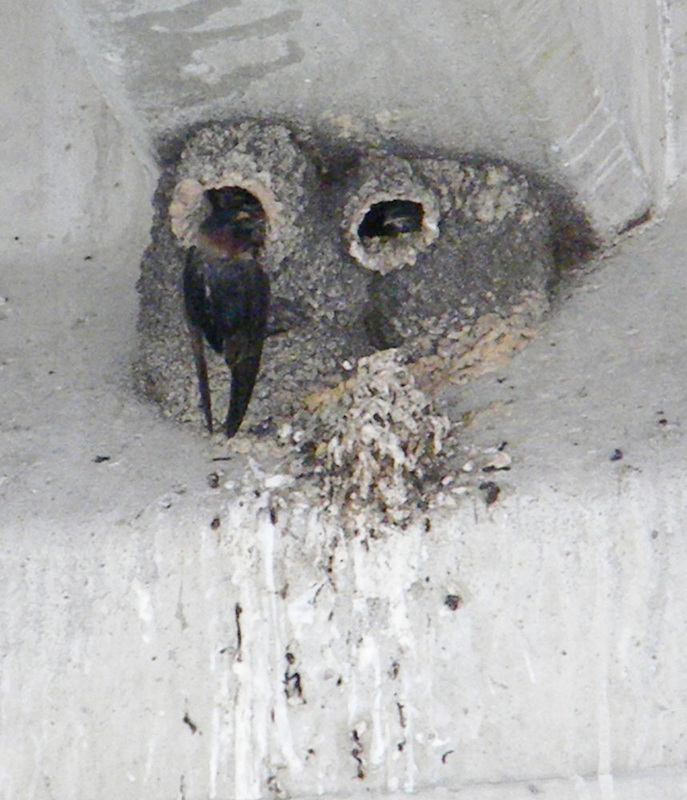 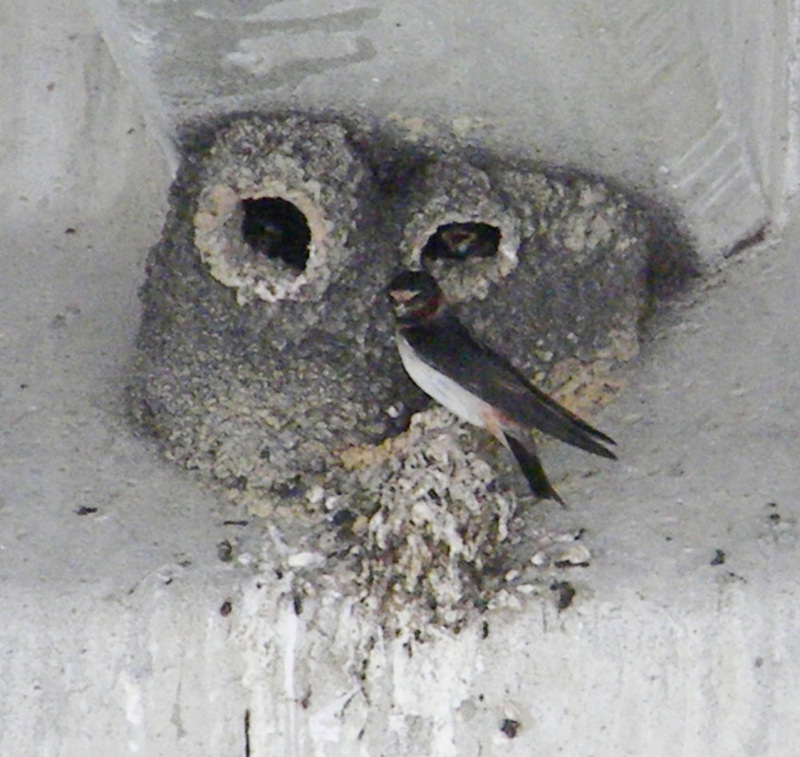 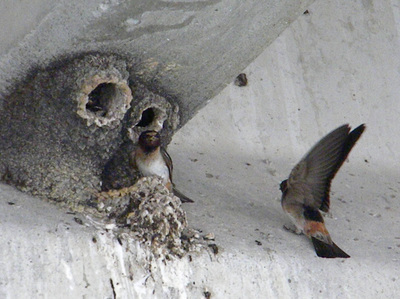 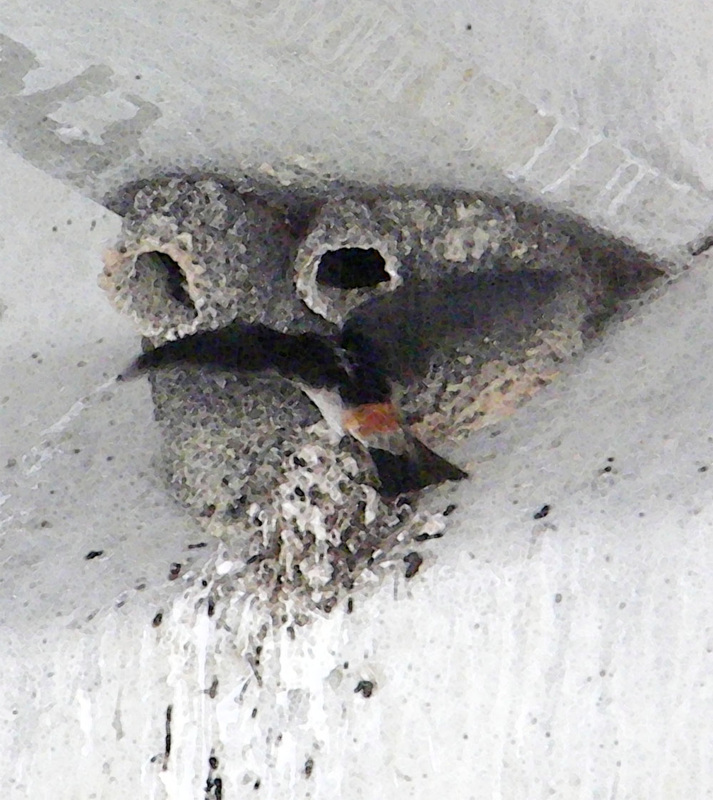 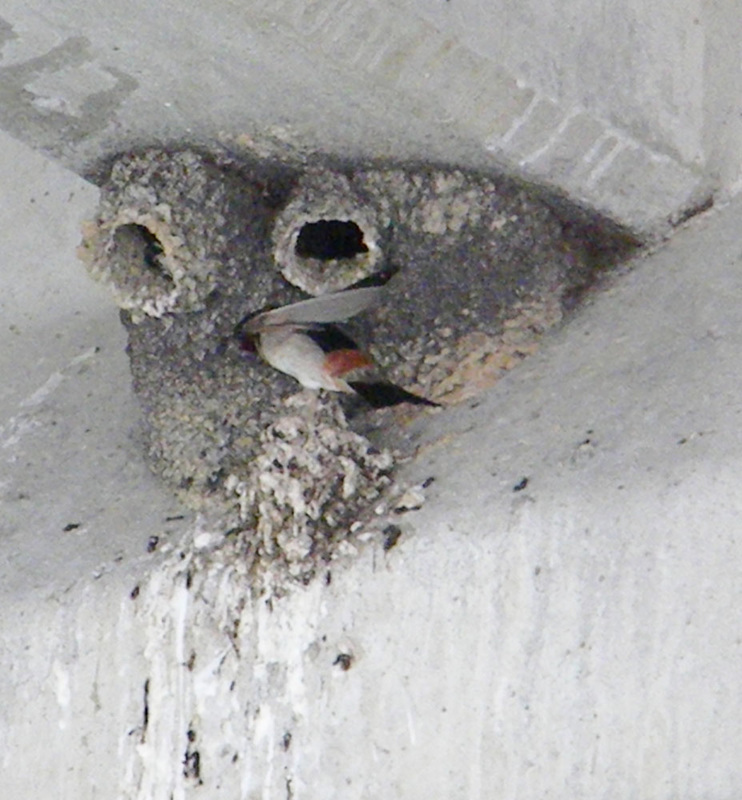 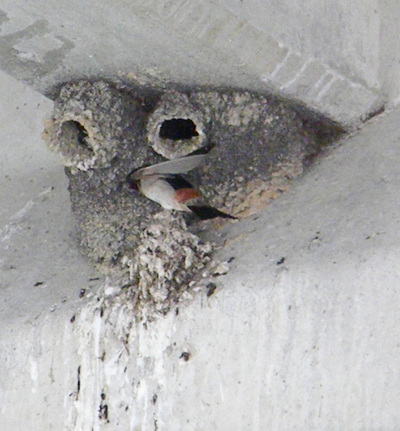 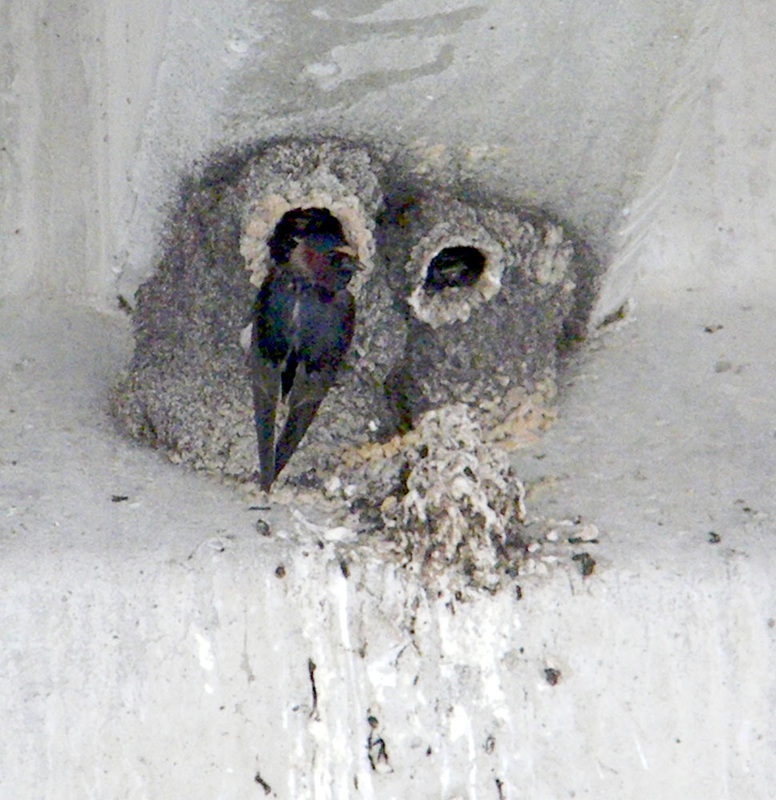 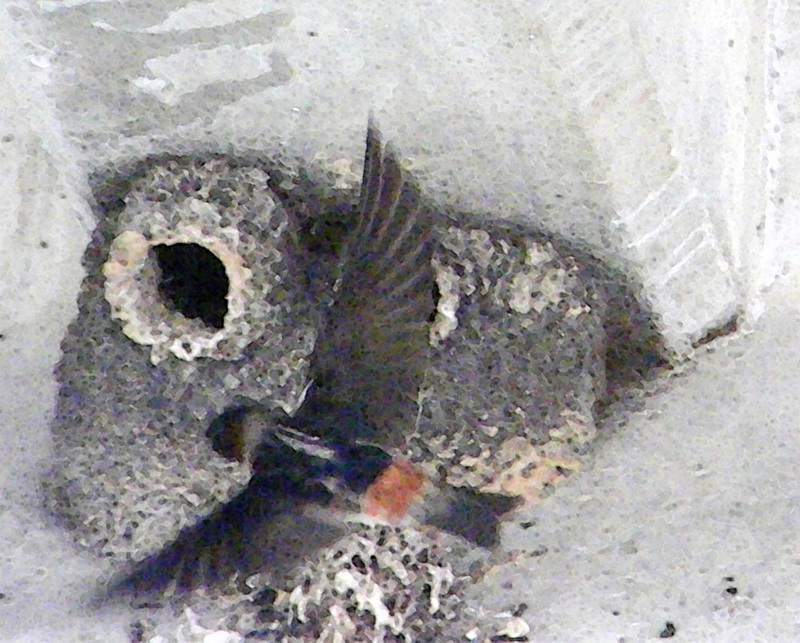 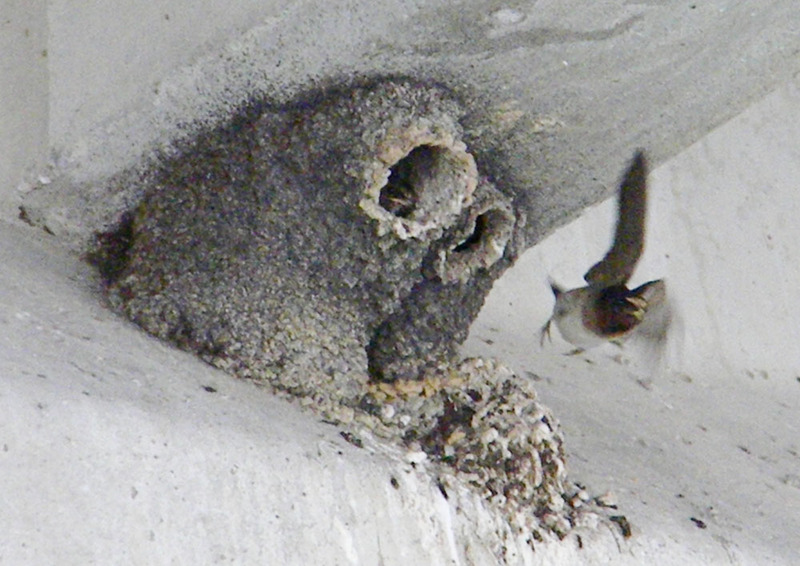 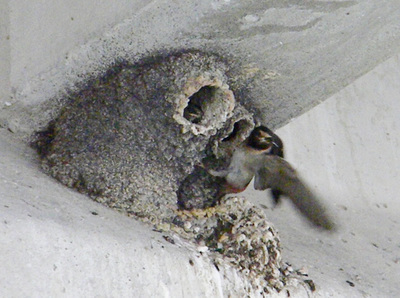 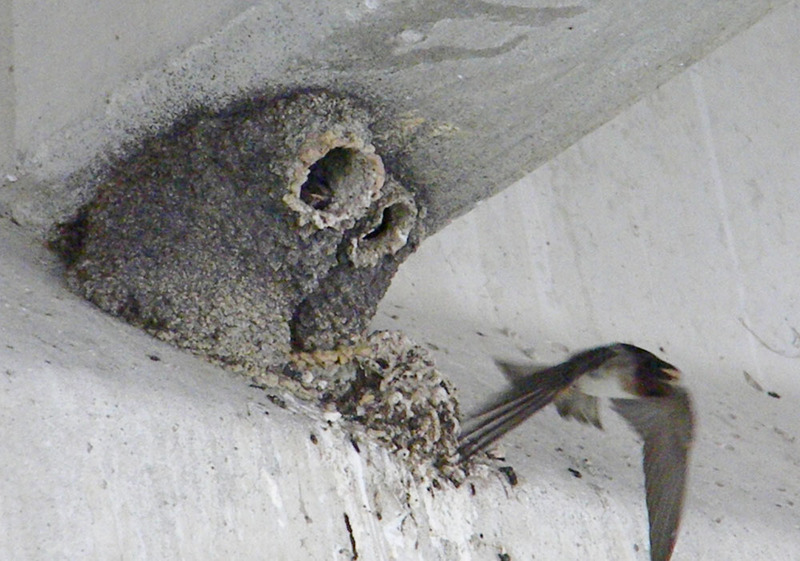 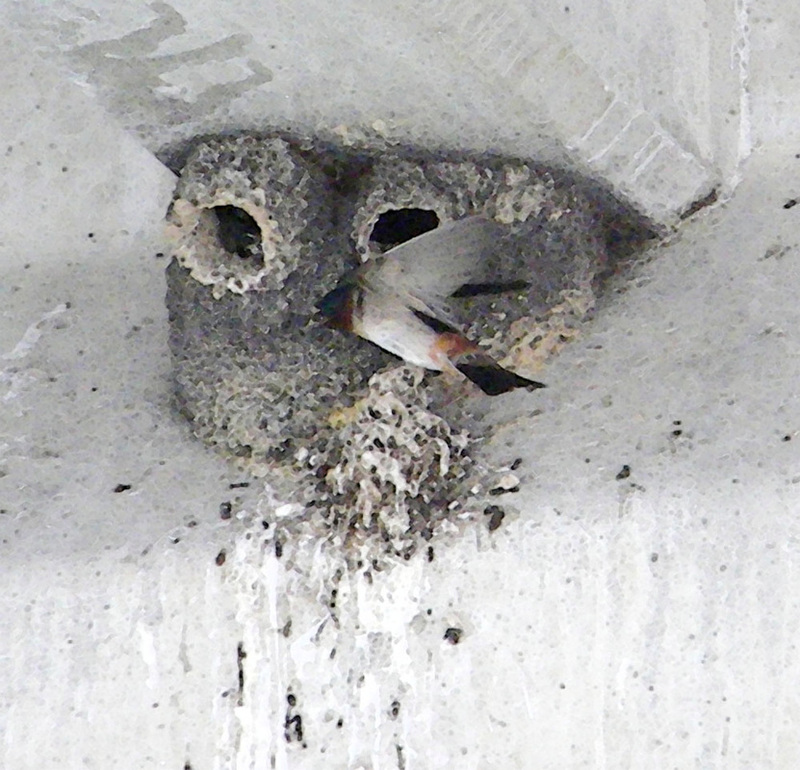 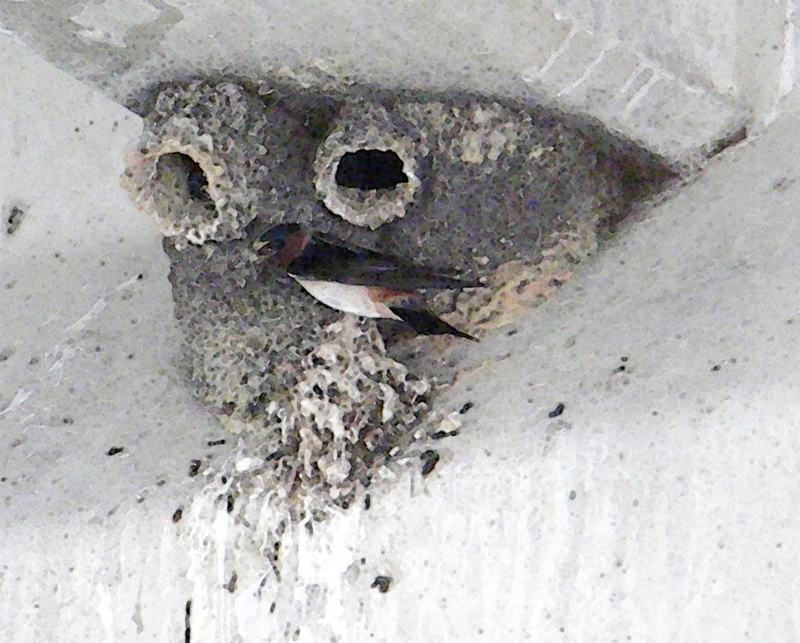 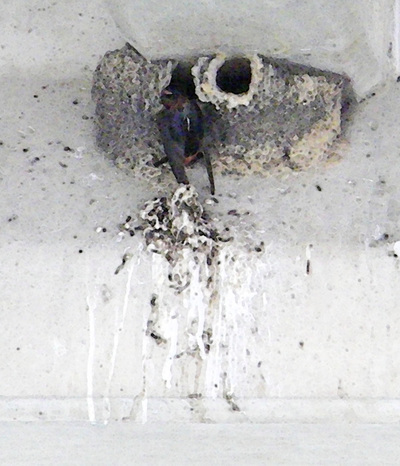 These swallows build their little mud nests under several of the bridges passing over the lake. These are cliff swallows. The more familiar barn swallow has a forked tail, is blue above, and lacks the pale forehead and orangey rump patch.